Year after year, Shure Incorporated is chosen as one of the Best and Brightest Companies to Work For. You might think that working for a company that makes microphones preferred by some of the biggest names in music would be enough to earn that title, and for some of us it is, but that's just one aspect of the corporate culture that makes working here so great. Over the next several months, I'll be highlighting many of those aspects, in the words of Shure Associates themselves, in this series: The Workday Diaries. It should come as no surprise that a company that makes microphones is a magnet for musicians. Many who work at Shure are musically inclined in one way or another. It's an arrangement that is mutually beneficial: the musicians get a chance to earn a living while feeding their passion, and Shure benefits from having associates with real-world experience with the products. While music is not our whole business, it's certainly a major part of it, and our work-life culture reflects that in many ways. Shure has a diverse portfolio of artist endorsers that our diligent Artist Relations team manages. Every once in a while, those artists stop by our corporate headquarters for a tour and, sometimes, they treat Shure Associates to a private concert in our beautiful theater. 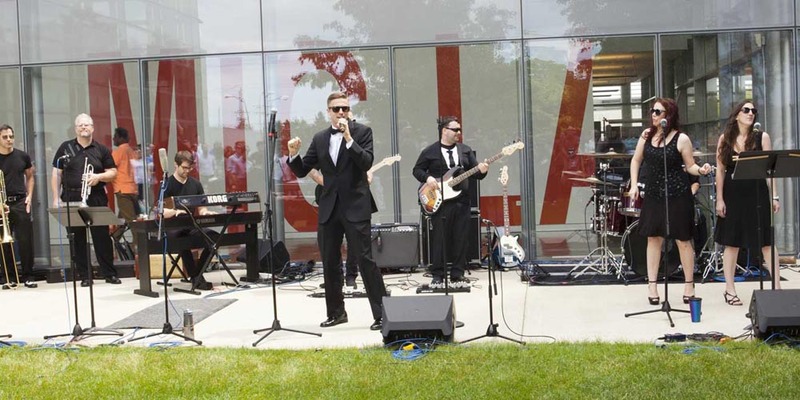 Each summer, Shure has an internal summer concert series known at Eat to the Beat. Once a month, Associates are invited to eat their lunch outside to watch their colleagues play music in the courtyard. To prepare for these concerts, Associates form bands and get the opportunity to rehearse in our state-of-the-art recording studio. In late winter or early spring, we bring the music indoors to the S. N. Shure Theater for a classical recital. This year, the name was changed to commemorate our late Chairman of the Board and avid classical music lover, Mrs. Rose L. Shure. It's very clear that music is an important part of the culture at Shure. It's something that's supported at all levels of the organization. Even our very own President has been known to play French horn with our brass ensemble from time to time. Making music together is certainly a team-building exercise that unites many of us here at Shure. And the best part is that it's open to all. Not everyone here makes music. Next time, I'll explore another aspect of our culture: intramural sports! 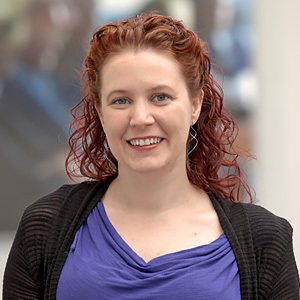 Cheryl is a Media Relations Specialist at Shure with previous experience in the customer service department. She is also a professional singer involved in several tribute, cover, and original bands in the Chicago metro area. In what little spare time she has between work and music, she can be found reading or hanging out with her parrot. Cheryl's favorite mic is the KSM8 and her Twitter handle is @TheUnsungDiva.